Chrismas saleis always the best festival sale in Rosegal, but our dear Santa seems like he's not paying attention to his own weight this year and obviously stuck in the chimney! Help him through to get mysterious Rosegal gifts worth $50. How can I help Santa? 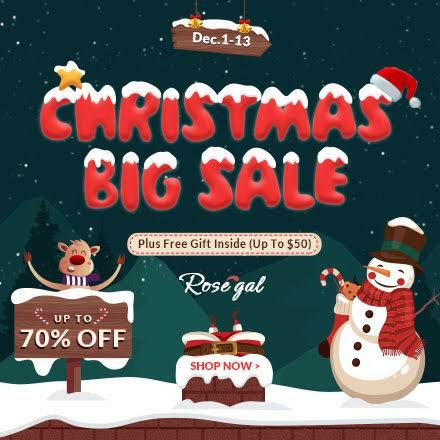 Easy, click on this link https://www.rosegal.com/promotion-christmas-sale.html?lkid=12280778 and push him down. You are able to push Santa once per day, you push twice if you shared this mini-game. Though unlike others we do not need a reason to shop but with the holiday season going on the online stores are loaded with Christmas Clothing Deals! 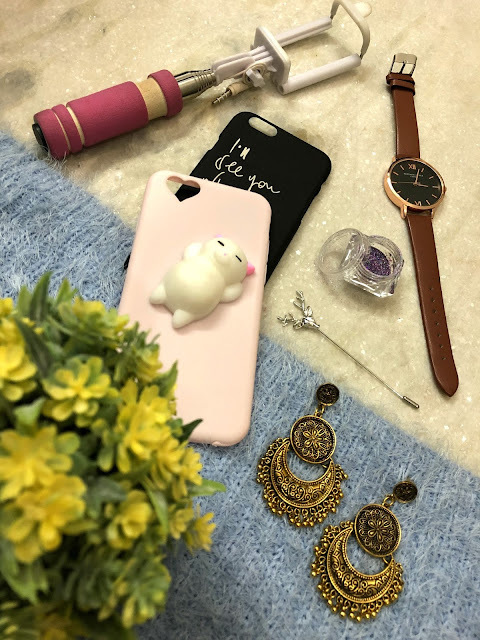 Keeping the same in mind, I decided to create a Christmas wishlist from one such fashion-forward website, Zaful, for you to either uplift your own winter wardrobe or gift something to your loved ones. 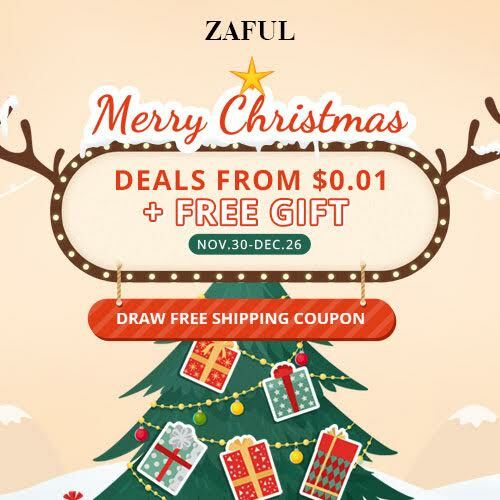 Shopping at Zaful comes with its own set of added perks like right now, they are not just offering worldwide trending outfits but with some amazing Christmas dealsthat you wouldn't want to miss! Suede & winters go hand in hand! I have been loving this fabric off lately for the retro vibes it exhibits. So when I saw the variety of suede jackets available at Zaful, I knew these are a must-have in this season's wardrobe. From cropped to the biker, you name it & they have it. When we talk about winter trends, the one fabric with which all of us can easily relate to is suede! Tricky as it requires alot of care but definitely a staple in the wardrobe. This fabric is known to exude a very Seventies vibe, if styled right. So when I was planning my AIFW looks for this season, I knew I had to incorporate this trend to my outfits. I picked these suede wide legged pants from Ajio but found them to be quite simple for the look I had visualised, so I customised it by putting an embroidered border on both the sides. Paired it with a basic black tee because the OTT layer that I had planned would ideally amalgamate with the same. To uplift this basic combination I added a hand-painted denim jacket to the look & voila it was a statement piece in itself! What I love about a handmade piece is that you're the only one sporting it & it makes you stand out from the regular crowd. It's been a while since I have been trying different international websites to shop, not just for an experience but also the price at which they offer the products which are otherwise available at a huge margin here! Would you be surprised if I tell you that I manage to pick nine ubercool products for less than $20 (almost INR 1300)! Yes that's hardly any amount with the kind of products you'll see me talking about in this post today. Since, I was pretty much satisfied with the overall experience with ToSave, I decided to do this haul post for you all to decide. Most of you about my fetish for earrings, so these ought to be the first thing that caught my eyes. And the good part was that these were available at half the price of what they are being sold in renowned flea markets in Delhi.